Vintage Maserati 5000 GT Iniezione Press Photo. This is a vintage press photo of the 5000GTi. 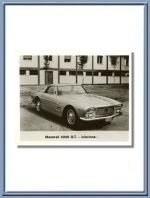 It was most probably issued by the Maserati factory but does not carry any hint towards the publisher and / or the photographer. 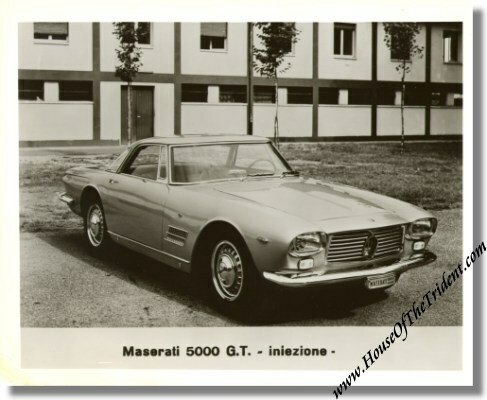 The caption reads "Maserati 5000 G.T. - iniezione - ". The photo measures some 10 x 8 inches. Excellent condition bar a small corner that was torn off the white border. We offer FREE packing, handling & shipping to ANY destination in the world on this photo.